This is to announce that ownCloud VPS is now ready for order. 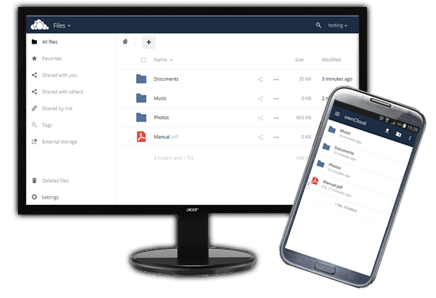 With our pre-built OS template, you can easily deloy private cloud storage for personal or for your organization use. It is pre-built with ownCloud packages installation method, allow you to upgrade easily when there are future release/upgrade. You can use Webmin to manage your backend operating system including managing firewall via CSF interface. CSF firewall is pre-configured and opened with minimum port for ownCloud operation, you can adjust based on your working environment within Webmin.